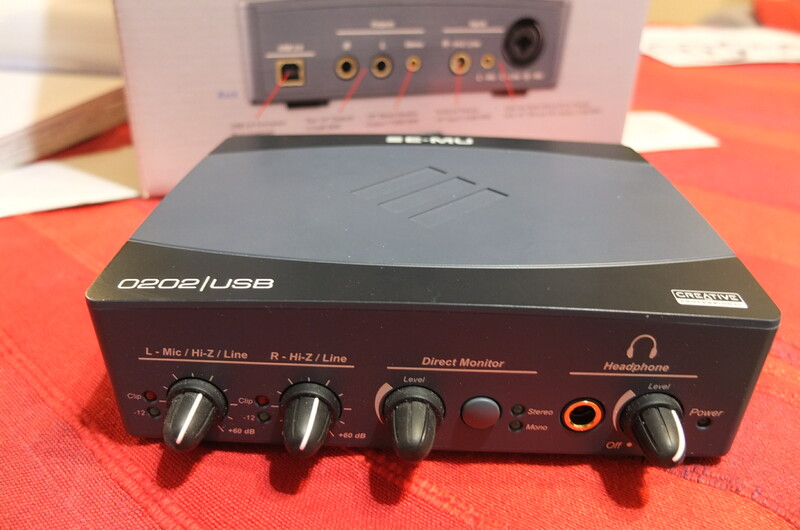 0202 USB, USB audio interface from E-MU. Two 1/4" jack inputs, and USB. No Midi in/out... it's a pity. It takes only 10 minutes to install. I use two tracks at a time plus some plug-ins. you set it to two, you'll notice frequency losses, etc. The software bundle contains only limited versions so it's useless. The preamp and converters sound only ok. It's a pity. Pros: power supply via USB. Not very stable like all Emu Creatives I've tested. both of which sound no better and are even less stable. That's the reason I bought an M-Audio and an Edirol. They work seamlessly with my different PCs, and their drivers are reliable. They sound much better and the latency time is not audible. What technical characteristics have motivated your choice? Former CM compaq, AMD Athlon XP 1200Ghz Ram 768 MB DDR / Maxtor 60GB / multimedia sound card "can"
- No audio routing / control software = 1 or 2 fader. 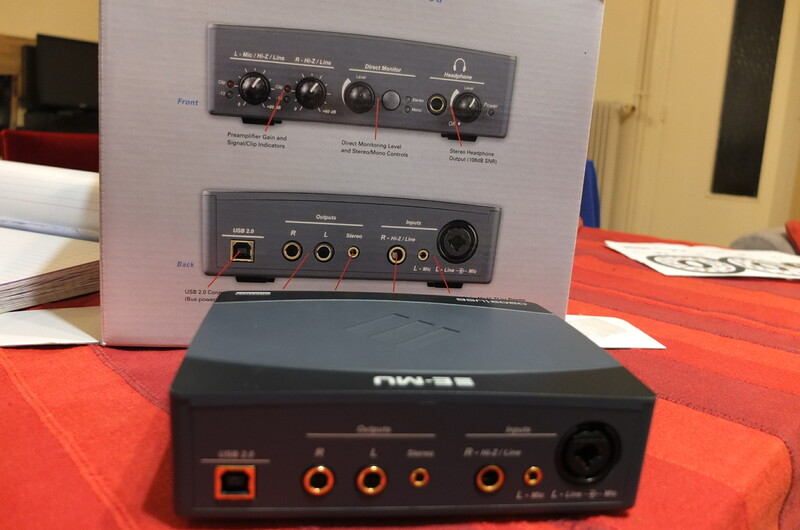 erazore's review (This content has been automatically translated from French)" To me good starting map"
1) disable the device manager the USB line or USB hub to allow the device to suspend its food for energy savings. 2) put your pc in maximum power mode not in the eco power management go into the advanced options and disable suspend this device for eco energy. Your stalls are due to the fact that usb is not at its maximum power and micro usb cuts to save energy crash the driver for my part I use driver version 1.40 beta ÉMU and especially that your machine is optimized for audio win7 zapped some services and voila. Not often last date 2010. I use it just for listening and an input for recording my voice! At the moment there is no update of drivers!! I am listening to a single track at the same time I save! I use it for two days and I have a problem with! 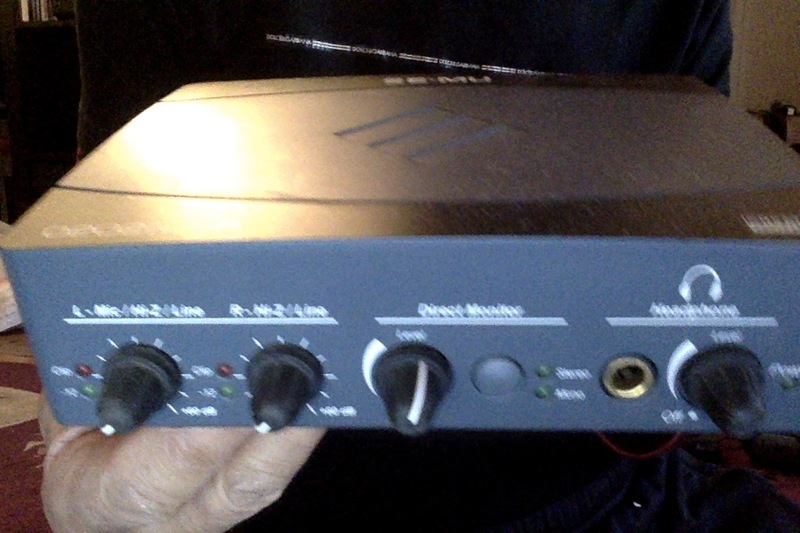 with a preamp lunnar tp -01 I use for my mic and I connected directly to the entrance of the emu have a lot of breath! and when I mounted the volume of entries almost at max there are a lot of noise and breath! I do not know if this is normal or not? 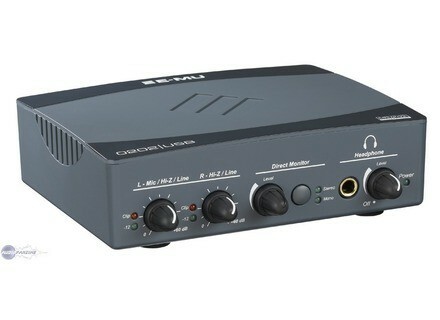 E-MU Systems announced that Mixcraft LE 4 Virtual Recording Studio software for Windows XP or Vista is now being bundled with their 0202 USB 2.0, 24-bit, stereo audio interface.